With a stay at Governor Palace Hotel - Wuhan in Wuchang, you'll be within a 15-minute drive of Wuhan University and Hubei Provincial Museum. Featured amenities include dry cleaning/laundry services and a safe deposit box at the front desk. Self parking (subject to charges) is available onsite. With a stay at Yunshangsiji Fairyland Hotel of Kundu Branch in Kunming (Luosiwan International Trade Area), you'll be within a 15-minute walk of Yunnan Provincial Museum and West Pagoda. 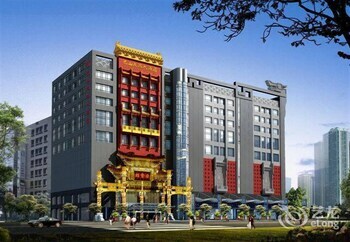 Hanting Hotel is located in Suqian. Featured amenities include complimentary newspapers in the lobby, luggage storage, and an elevator (lift). Free self parking is available onsite. With a stay at Chengxin Hotel in Jiujiang (Lushan), you'll be 10 minutes by car from Tianhua Palace. Free self parking is available onsite.